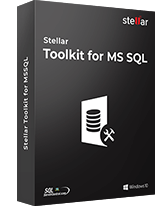 Stellar Toolkit for MS SQL is a combination of three tools developed to recover database from corrupt SQL server, extract database from corrupt SQL backup file and to reset SQL Server Password. *Free download to repair & preview recoverable SQL server database objects. Is SQL Server Database Corrupt ? The toolkit repairs inaccessible and damaged SQL Server database without tampering with the database integrity and saves the repaired files in MSSQL,HTML, XLS & CSV formats. Is SQL Backup File Inaccessible? Lost SQL Server Password ? The damage in the MDF file header page or other important management page is repaired by the toolkit to undergo an effective SQL repair for the corrupt primary file. The usage of sturdy algorithms in this wizard makes it more powerful to recover the database from all types of backups like Full, Differential, or Transaction Log. The backup file can be selected either by knowing the backup file location or by searching it on the disk. The recovered SQL database files are saved to default or user desired locations. SQL Database toolkit is designed to simultaneously recover deleted records while the repair is ongoing. The deleted or lost records are recovered without tampering the original structure of the database. The user can view those deleted records clearly for checking the accuracy of the result and matching them before saving. This SQL Database bundle is complete solution to repairs your corrupt SQL database whether it is caused by Clustered Index, Leaf Level Corruption or Consistency Corruption. Additionally, this utility also resets your lost SQL Server Administrator and user passwords and ensures swift recovery of damaged SQL database backup files. The option of selective recovery allows the users to perform selective recovery of database objects, such as tables and items. This tool has the functionality to allow the users to select specific objects that have to be recovered from the list. The users can then save them at any location on the system they want. This Database bundle has a standalone capacity to automatically detect the SQL Server Database version. In case the database file is heavily corrupted, then the software lets the user to manually select the version of SQL Server. Toolkit supports all versions of SQL server including latest version SQL Server 2016. This tool scans the entire corrupt database and then displays the damaged ones in a form of tree-like structure. This feature lets the user to preview the corrupt SQL database for free and the user can also view these recoverable objects in the main interface. The database items can be verified prior to saving the recovered database. 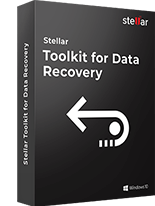 Yes, SQL Backup Recovery software included in this toolkit needs MS SQL Server to be installed on the system where you want to perform the recovery. You should start all SQL Server services before initiating the recovery process. However, MS SQL Server is not required for showing the database preview. I don't have SQL server database on my system. Can I see the preview of corrupt SQL database? Yes, you can see the preview of your corrupt SQL server database. But, to save the database MS SQL server will be required. Yes, the toolkit software supports Microsoft SQL Server 2014. The MS SQL Server 2016 and all earlier versions of SQL Server are supported. 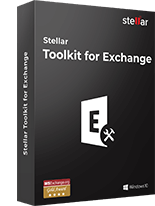 Why should I use Stellar Toolkit for MS SQL? Stellar Password Recovery for MS SQL- recovers MS SQL admin and user passwords from master.mdf file. What is the difference between ‘Demo’ and ‘Full’ version of Stellar Toolkit for MS SQL? The ‘Demo’ version shows the preview of all repaired Information in the corrupt database files; while, to save it, you need to buy ‘Full’ version of the software. Does Stellar Toolkit for MS SQL work on unlimited databases? 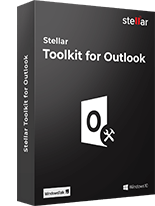 Yes, Stellar Toolkit for MS SQL works on unlimited databases. Can I install the software on multiple systems? Yes, you can install the software on multiple systems at single location. How much time does it take to repair corrupt MDF file? Repairing time directly depends upon the size of selected corrupt SQL database file and level of corruption in it. I have differential backup of the database, can I restore the database by using this toolkit? SQL backup recovery software supports all types of backups- Full, Differential and Log, hence, you can restore the database from differential backup. What is the validity of the software license? The software license key has lifetime validity, with free one-year technical support. 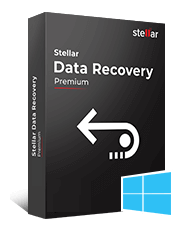 Stellar Repair for SQL AnyWhere is a useful solution to restore your important '.db' file data with ..